NEWPORT BEACH, CA—The services travelers desire are universal among all demographic groups, and their desires are changing, so hotel owners and their development partners need to stay on top of these trend shifts, R.D. Olson’s Bob Olson tells GlobeSt.com. NEWPORT BEACH, CA—The services travelers desire are universal among all demographic groups, and their desires are changing, so hotel owners and their development partners need to stay on top of these trend shifts, R.D. 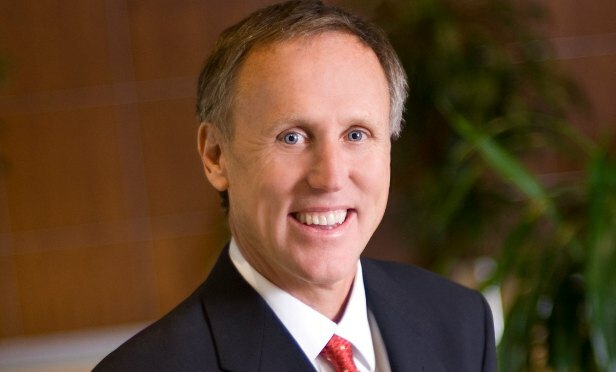 Olson Development’s founder and CEO Bob Olson tells GlobeSt.com. The firm, which is active in developing and repositioning commercial and hospitality properties nationwide, was recently named Development Partner of the Year by Marriott International at the hotelier’s Full Service Owners Conference in Washington, D.C. The prominent national award honors companies that develop upscale full-service hotels that stand above the rest. R.D. Olson began developing hotels in 1997 and has been especially active over the past six years. Recent projects completions include the 200-room Residence Inn by Marriott in Wailea, Maui, Hawaii, and the 144-room Residence Inn by Marriott in Old Town Pasadena, CA. In 2016, the firm also completed Paséa Hotel & Spa, a 250-room upscale water front boutique hotel in Huntington Beach, CA, in a co-development with Pacific Hospitality Group at the master planned Pacific City. We sat down with Olson to chat about being a strong development partner, mistakes in partnering that can be avoided and how hotel developers can become better partners with owners. GlobeSt.com: What does it take to be a strong development partner in today’s real estate environment? Olson: It’s not necessarily any one thing. It starts with relationships in the industry and understanding what kind of resources there are. We see Marriott as a significant resource to us. It’s the most innovative hotel company in the world, and they’ve received awards for that, and we recognize that their research and the ability to tap into that as a resource are really beneficial to us. On top of that, localizing each of our hotels into the markets in which we open is key. Maui is far different from Huntington Beach; while they are both oceanfront or ocean-view hotels, they are in different markets with different customers and expectations that drive services and amenities in a hotel. We try to anticipate what customers’ needs and wants are, and we’re ultimately trying to create hotels that customers come back to again and again. Our best report card is really our occupancy and what they say about us on all the digital sites. It’s important to have the resources—from architects and designers to the full team, the full complement of people—to be able to pull people together to bring the best work in each hotel we deliver. GlobeSt.com: What mistakes do many developers make with their partners that can be avoided? GlobeSt.com: What should hotel developers in particular be aware of when trying to become better partners with owners? Olson: Understanding who has the closest contact to the end user/customer and respecting that. Listen to what the operations people are telling you at the hotel. Get that feedback from the hotel. What are they hearing? What can you anticipate that they don’t know they need or want? It’s like many Apple products people didn’t know they needed or wanted. This is riskier than simply getting feedback. For example, with fitness centers, there’s typically not a lot of feedback in that area. Maybe they ask for another treadmill. But we have focused on our fitness rooms, adding TRX systems, pushing the envelope and staying ahead of where the fitness industry is going. We provide space to do the activities that are out there. Marriott tried some things in its Charlotte, NC, fitness center, some of which have worked fantastically and some that have not. But it’s great to have that trial because from that we get a lot of feedback, which is unbelievable for us as a partner. Also, there are things we’re doing ourselves. We’re been pushing our own fitness centers for the last five years, and every one of them has rated at the very top of branded hotels, in the 95thpercentile. We’ve focused on the touchpoints for our guests. Where are those touchpoints? We’re trying to create memorable moments within the hotel and that experience. The focus is on trying to create a unique and innovative public space in which all travelers want to interact and engage. That’s what we’re mindful of—trying to create a space of connectivity of human interaction, a place to be and be seen, a comfortable environment. Olson: It’s an exciting time for our industry and for the travelers. Providing great hotels gives people a great reason to travel. It’s so much better than it has been for the consumer.